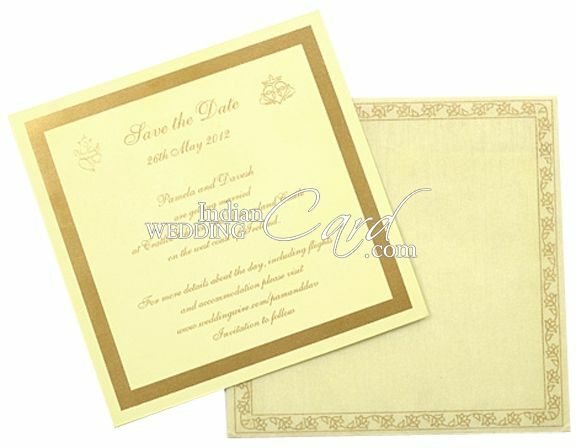 D-5574, Cream Color, Designer Multifaith Invitations, Birthday Invitations. 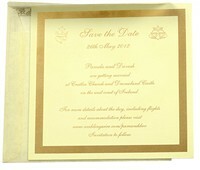 Single sheet card made thick by apting2 layers of cream paper with a thick gold border all around. Envelope has floral border in gold. 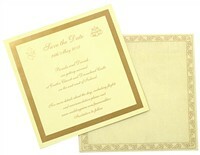 Double pasted single sheet cream card (500gsm) with cream wooly paper envelope.